To kick off the new year I wanted to photograph something that was really beautiful, and what's prettier than honeycomb? 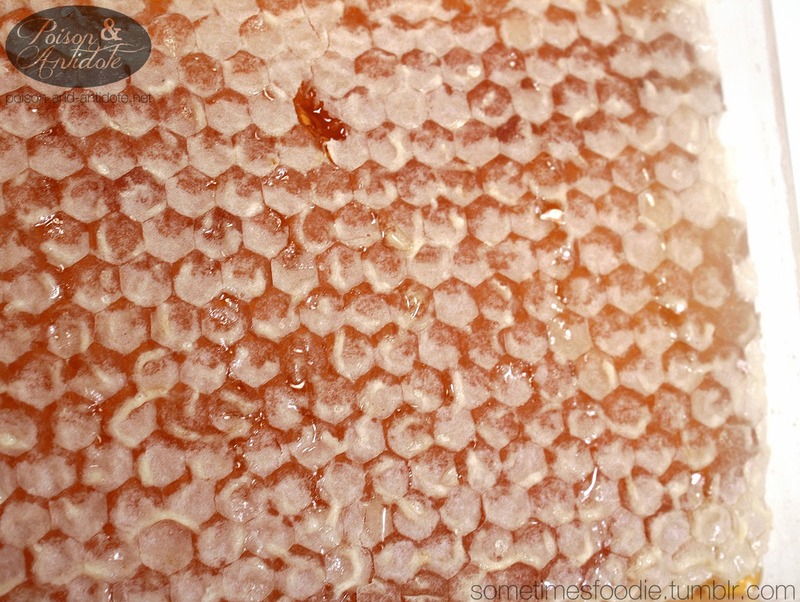 This slab of honeycomb is so beautiful that it doesn't need any fancy packaging. The clear plastic container works just fine. Although, I will say that the product sticker is in need of a major makeover. The label looks like the generic mailing address stickers you can order out of catalogs. 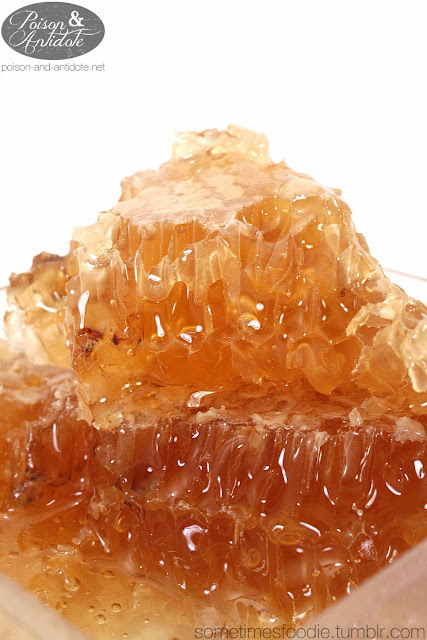 When compared to some of the more trendy packaged honey products, this could easily be overlooked. Once opened, you can see the true beauty of this product. Bees are so amazing! Look at these intricate little chambers! 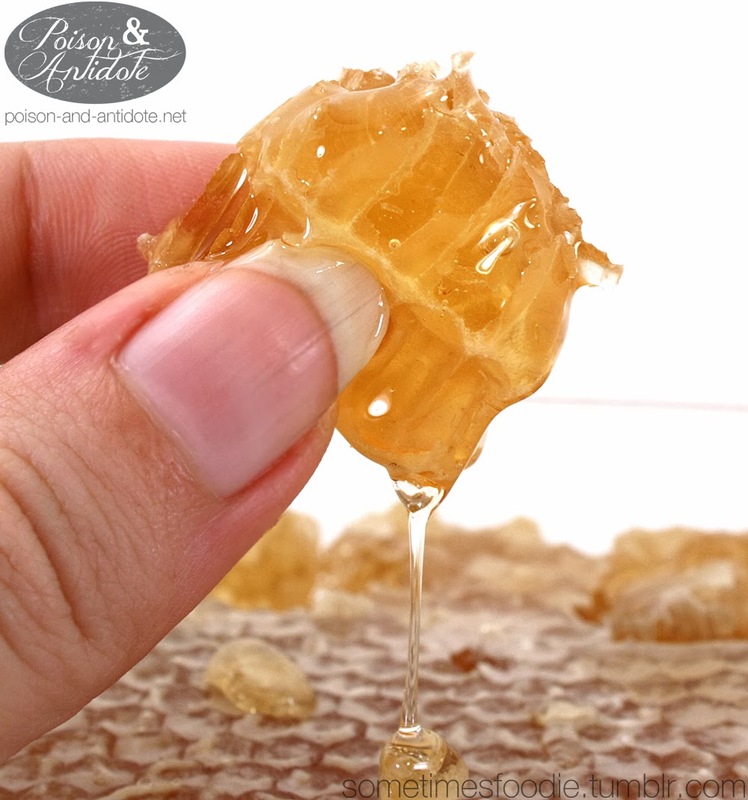 Each one is a perfect little hexagon, and each one is filled with deliciously pure honey. (I wish I could be a bee keeper.) 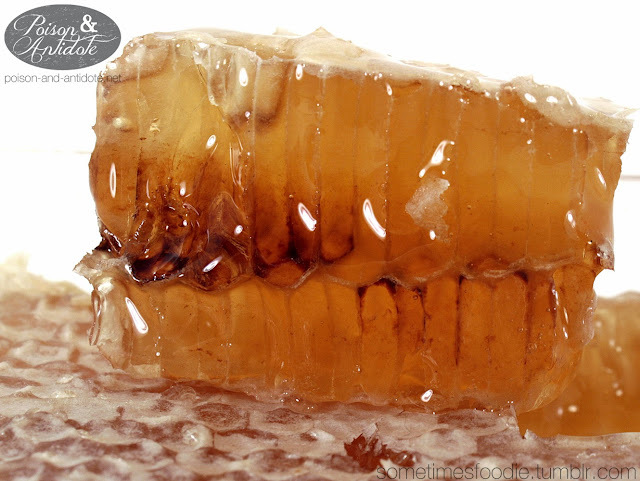 That slab of honeycomb is filled with amber honey and it smells absolutely incredible. This was an amazing gift! 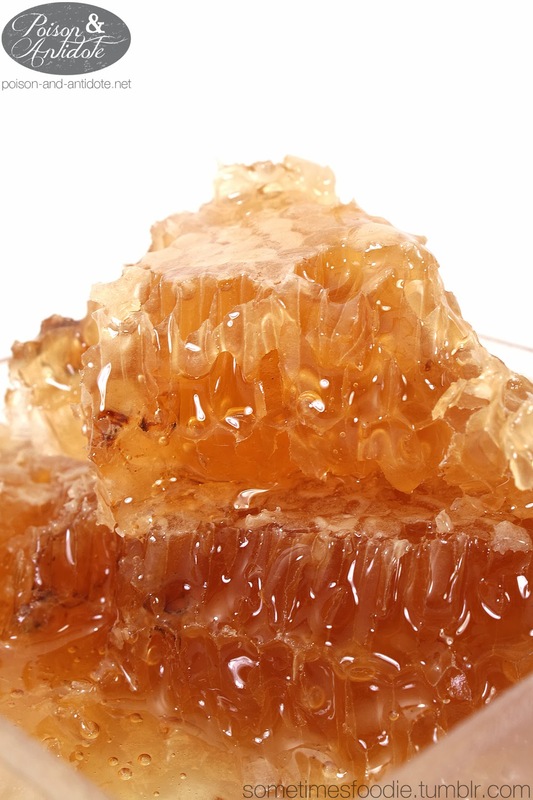 I got to take some gorgeous photos, eat delicious honey, and it's all much healthier for me than the processed stuff you can buy in the store. All of you need to try a chunk of raw honeycomb! I did! I hope you had a lovely holiday was well. ^_^ Chewing on honeycomb is wonderful, and it's really good for you, so your grandma really knows what she's talking about. I highly recommend it.